Memorial Day is the unofficial start to summer. While summer is the most fun season of all for a lot of dogs, there are some safety tips (and fun tips!) to keep in mind as we head into this season’s fun-for-all. time it takes to get that Frappucino) your car can reach 100 degrees, even with the windows cracked. 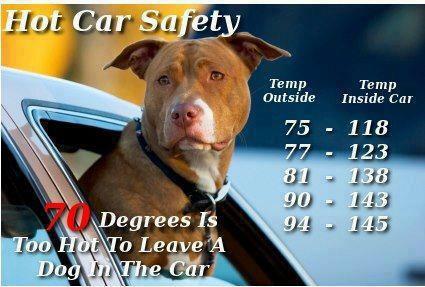 At that temperature, your pet can go into shock. Dogs have a very narrow range of body temperature- normal is 101-102. When their body temperature reaches 103-104 they are having heat stroke symptoms (or fever but we are talking about heat), and at 106-107 organs start shutting down and coma and death occur. Pay attention to their paws too. 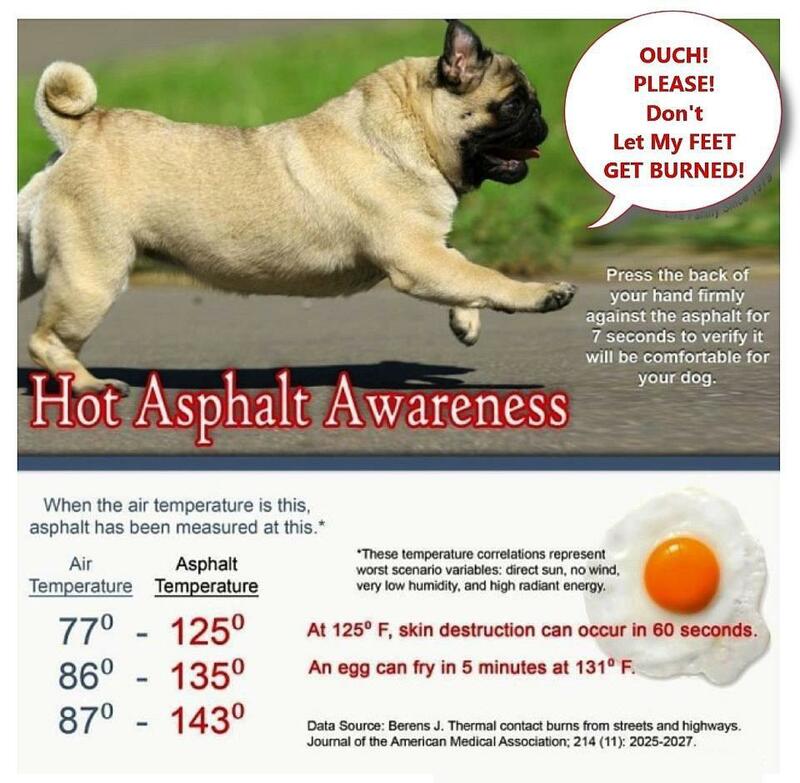 Hot asphalt pathways and sidewalks can quickly burn sensitive paw pads when out for a walk. Little buggies and swarmy things are out in force. 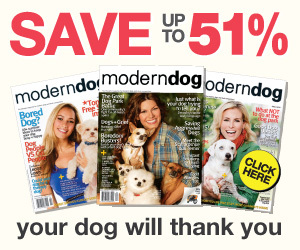 Make sure that your pooch is protected with a flea and tick and heartworm preventive. This isn’t just for those that live in rural areas- mosquitoes are everywhere, and fleas and ticks are too. Ticks are really abundant in Michigan this season, check your dog every time they come in from the outdoors to make sure they are not bringing friends with them. Your dog will drink more when he’s hot, and probably exercise less. 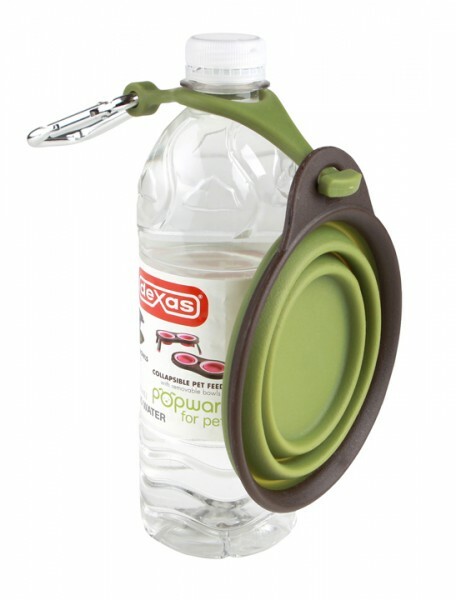 Reggie gives me this look like, “you want me to go where lady?” On walks we take with us this portable water bowl that clips onto a water bottle as well as the leash from Popware for Pets. It’s very handy because Reggie drinks a lot when it’s hot. Another cool tip? Wet a bandanna and put it in the freezer for a few minutes- not until frozen- and put it around her neck under the collar before you head out. 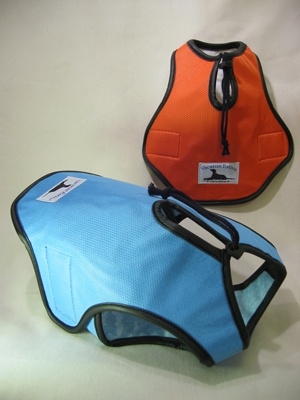 A more sophisticated option is this cooling vest from Gramercy Pet. Soak the vest and the evaporating water will keep him cool. Does your dog love the water? Reggie does. He has his own doggy-pool for after walk cool-downs and he plays in the grown-up pool. Remember safety and get a life vest for your pooch, especially if you’re a boater. Also note that not all dogs are good swimmers, even if they love the water. Brachycephalic dogs (short muzzle breeds like bull dogs) are more likely to suffer from overheating and have breathing difficulties, and are not really good swimmers even if your dog happens to love the water. 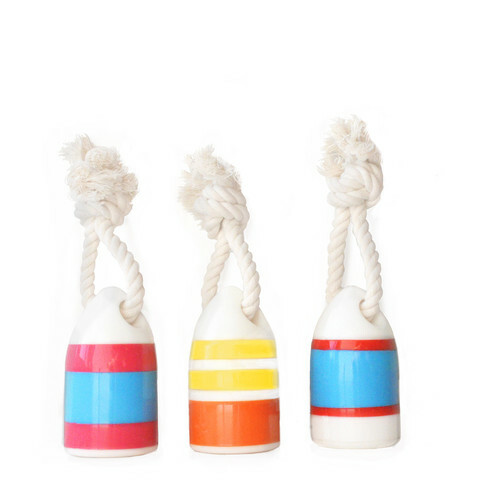 I am absolutely going to get Reggie one of these mini-buoy toys for playing catch in the lake this summer. Last year I had to call it quits when he destroyed the toy football we were playing with, and he still didn’t want to get out of the lake. For a cool treat get FreezyPups, the flavored pupsicles in the fun bone shapes. Reggie LOVES these (apple is his favorite). For a cheaper option, you can always just freeze chicken broth too (not for Reggie- allergies). Get a Kong toy and stuff it with banana, peanut butter or wet dog food and put it in the freezer. Give her the frozen treat while you’re gardening for afternoon fun and it keeps her cool and occupied! Whatever your summer passion, be sure to include your dog. Just do so in a safe an fun way!